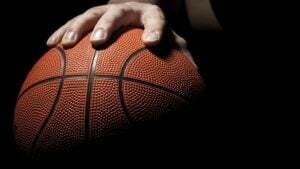 When I passed the old man shooting baskets alone on the neighborhood basketball court, my foot did a double take on the brake pedal. The man’s back and shoulders were hunched with age. The fraying sleeves of his utility jacket bunched up as he aimed the ball, revealing the loose wrinkled skin of his wrists. And yet the old man played basketball with every cell in his body. There was no one around to play with him. I knew of no basketball team for local retirees. It seemed like he meant his practice for no one but himself. I remained stopped at the empty four-way intersection, too mesmerized to move on. All alone, the man continued to aim ball at basket and release it to air. It went in, or it didn’t. Either way, he collected the ball to shoot again. Then again. And then some more. His body was stiff; his movements jerky. No one was coming to join him. It was an accident that I was even passing this morning, on the way to drop the kids off at daycare earlier than usual. He kept playing. His arm crooked in follow-through as the ball broke through a morning sun beam and floated into the basket. My heart stirred in my chest at the sheer pointless joy of it all. A man well past his prime, alone in the chill of a Midwestern summer morning, shooting baskets. No urgency. No stress. No concern with his ailing body’s hitches in motion. Just the gentle repetition of dribble, shoot, retrieve. Dribble, shoot, retrieve. There was no one but me to share his solitary Eden of bright yellow morning light, summer-time bright reflected by the full greenery of Minnesota’s sun-hungry trees. It was too early for children to be out on the adjacent playground. Or even for the post-breakfast dog walkers. Most people were still at the kitchen table, inhaling coffee as their kids clamored for something that wasn’t on the menu. My kids were bleary-eyed and quiet at the early hour, sweatshirts crimped under the straps of their carseats. The few cars I saw on the far streets were speeding by to somewhere important: work, daycare, camp. The Zen of his presence on the court pulled my gaze like the gravity of a small moon. I would have imagined that most people his age wouldn’t even have a basketball; would have thrown it out years ago, or maybe forgotten to, abandoning it to the dust and cobwebs that gather in the plexi storage totes in the garage. Most people his age might have avoided physical activity at all in such a public place, regretting the loss of flexibility, power, youth. Dribble, shoot, retrieve. This man had come out early bearing every one of his years. Heedless of wrinkles, gray stubble, and stiff back. Shooting hoop after hoop with crackling joints and a body that had traded away its swiftness years before. He wasn’t there for glory or to impress anyone. Dribble, shoot retrieve. Today, the man played for himself, for his own satisfaction, for the thrill of ball leaving fingertips, the swish of rubber against the weave of net. The few passing cars, mine among them, didn’t distract him. Swoosh or bounce, it didn’t make much of a difference to him. The only thing in the world that seemed to matter to this man was the relationship between basketball and body. Dribble, shoot, retrieve. He was on a date with himself. His youthful joy was framed by sun beams, palpable in the defined angle of his arm, ball taking air and flying dead center through the net. Watching the serenity of an old man’s solitary meditation on the basketball court, I felt wistful. Wistful for the beauty that I often forget to appreciate in each moment. The old man playing basketball reminded me to be satisfied with the right now, with everything just as it is. No need for change. No need to regret or begrudge the past or the losses inflicted by time. 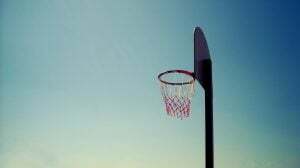 As he embraced the act of playing basketball, the absurdity of practicing a game that he could never excel at, he reminded me that sometimes, it’s worth doing something for the sheer joy of it. 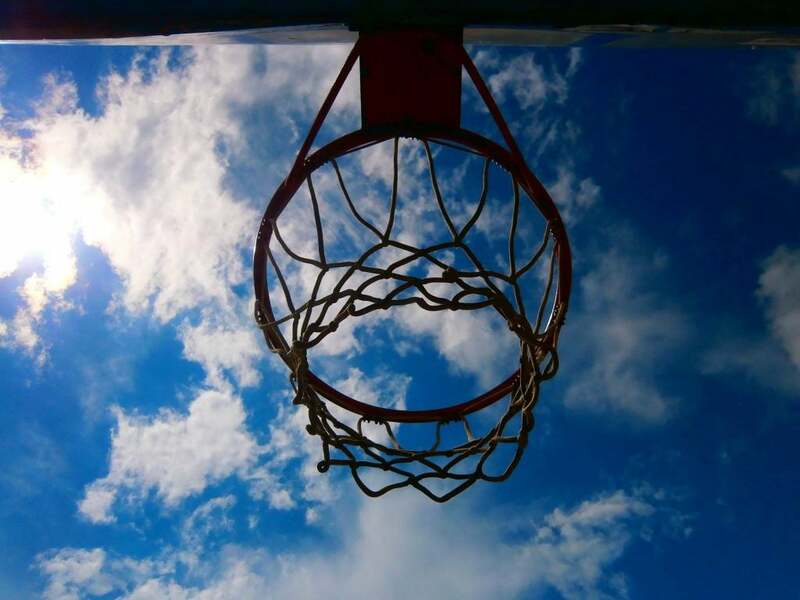 That morning in the park by the playground near the picnic shelter across from the sewer, in an old man playing basketball, I encountered grace. Today I am older too, more wrinkled, less dewy and shining than I once was. But I am more myself. I am more able to be, like that old man, present in today’s version of me, not trying to be anything but me, not any different or any newer than I am. I am older, a bit scuffed, well-worn, gently used, and well-loved. That old man playing basketball reminded me of something even more important than being content with what and where one is. That is, the playful embrace of an act that is futile for any purpose other than the doing of it. In other words, the act of play. Dribble, shoot, retrieve. Dribble, shoot, retrieve. I aspire to remember to play as deeply and full-bodiedly as my new muse: that old hunched man who plays morning basketball in the neighborhood park. I’ve just had a few days of play with visiting grandchildren. Your piece reminded me to keep being playful. Our son-in-law grew up near where you now live. He picked up your book from the end table, began reading and borrowed it to finish at home. Penny, I’m so glad to hear that the piece reminded you to be playful with your grandchildren. I couldn’t ask for a better response. And also flattered to hear your son is reading the book!